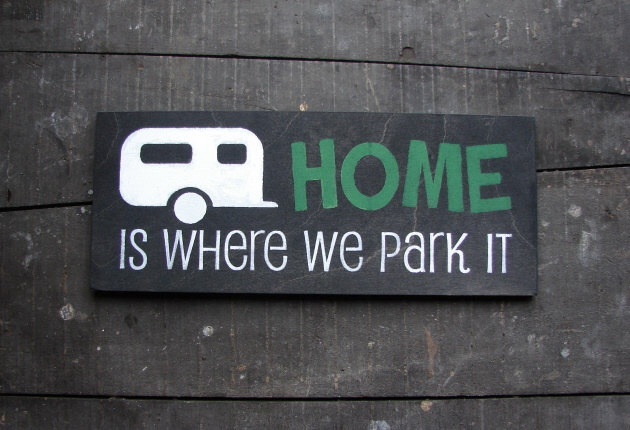 Yes, we don’t have to pay property and water taxes, but we do have to maintain our campsite. To be honest, we had no clue about what would actually be involved. We did know that we had to mow our lawn, but that is about it. It was my husband’s aunt that sort of tipped us off to the upkeep. She mentioned, in passing, that she went and raked her seasonal site last weekend. Before the parks are even open? They don’t prep the sites for you to come in? We decided that we would go and rake our site as well. We thought it would help dry out the ground and help make the grass grow a bit faster. It would also be one less thing to do on our first weekend there. It was also a good day for a picnic, so we loaded the truck up with rakes, garbage bags and a lunch. 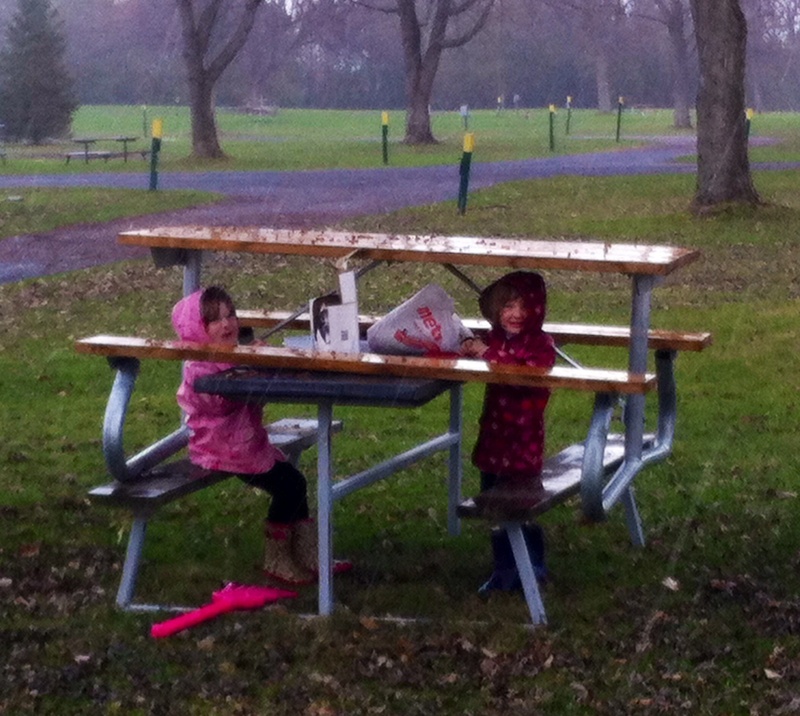 Unfortunately, Mother Nature decided to throw us a curve ball and rain on our picnic. So, we improvised! When the rain finally let up, we began to rake. We also had our first official bonfire! 16 garbage bags worth of leaves! We have three beautiful trees on our site, so I have a feeling that we will be raking pretty frequently this fall! I wonder what other maintenance we will have. This entry was posted in Our Camping Stories and tagged Campground, Camping, Campsite, Family, Leaves, Life, Maintenance, Nature, Outdoor, Picnic, Spring, Tree. Bookmark the permalink.